"I play the banjo better now than him that taught me do…"
I remember my father listening to Paul Robeson singing the Banjo Song when I was a boy. 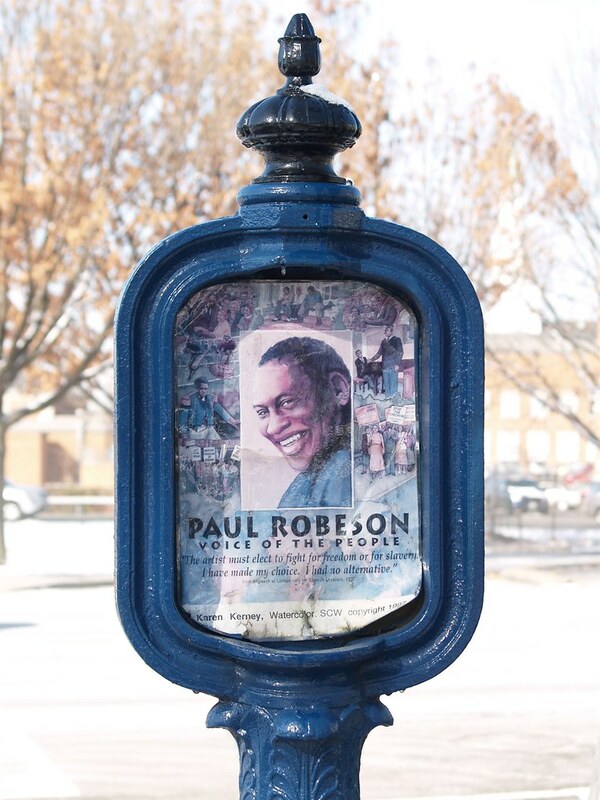 Paul Robeson was a singer, actor and fighter for social justice. The song goes on, "Because he plays for all the world and I just plays for you." So the singer had become a better banjo player than his technically excellent teacher because he was playing from his heart for the woman he loved. Maybe there's a lesson there for budo about doing it from your heart but for now the question I want to ask is: How do we get to be better than our teachers? Let's leave the glass ceiling of O Sensei's maverick genius out of the discussion for the moment. A teacher's task is to bring his or her students to the highest level they can reach. My first aikido teacher - a gentle, open, learned man as well as a great budoka - told me clearly he expected his students to become better than him. If they didn't manage it then he hadn't done his job well. He thought he would be able to help us smooth out some of the difficulties he had faced, to shorten some of the long paths he had walked and to avoid some of the side tracks he had travelled. It's a logical idea. It allows budo to grow continuously and it protects against stagnation or decay. Unfortunately there is also an old tradition in Japanese budo of teachers keeping some part back - perhaps some secret teaching or special technique or unique movement - so that the student never will surpass the teacher. Perhaps hundreds of years ago a teacher felt that was necessary to protect against attacks from enemies. It's kind of sad that it's still true today - more than once I have been told by budo teachers that they deliberately don't teach everything. But that's only a tiny percentage and I want to finish on a positive note. Going back to my first teacher another thing he used to say was that aikido was like breathing. Everything you learn you breathe in - then you have to breathe it out again by giving it to others. Hey - we're back to kokyu! 7 Responses to "Overtaking our teachers"
Thanks Carina! Some of the illustrations are very cool - great photographers and artists. Thanks, Carina! Yes, that's a really important point. But I still think we can guide our students (and our children) on the right path. Maybe on one right path might be more accurate. Of course then they have to walk it! (Hopefully without too many detours...). there is a story about a butterfly, a man wanted to help it come out of the small hole of the cocoon cutting it, but the butterfly was not ready, its wings too small, it couldn't fly because of its deformed body. We only can get freedom and flight after our own effort. Nobody can take away our difficulties, it is the same with our children, we can tell them but not avoid to do their own experiencies, these will help them to become strong and independent.